Looking for the perfect place to settle down? These five cities are diamonds in the rough for any parent whose kid is clearly going nowhere. With high salaries and low housing prices, Toledo brings incredible value to the table. The schools aren’t great, so if you already know your kid’s ceiling is pretty low, Toledo might just be your dream city. The Lone Star State’s 25th-most populous city is an unsung haven for anyone whose kid has “underachiever” written all over them. Denton boasts short commutes, affordable public transit, and plenty of gas station parking lots for your dimwitted son or daughter to hang out in all summer long. Welcome to Shreveport, home to a cornucopia of discount consumer goods stores and an arts scene that isn’t exactly stellar, but let’s face it, if your kid was doing well enough for a few museums to make a difference, you’d know by now. Why not read the writing on the wall, come here, and look forward to a cost of living about 14 percent below the national average? 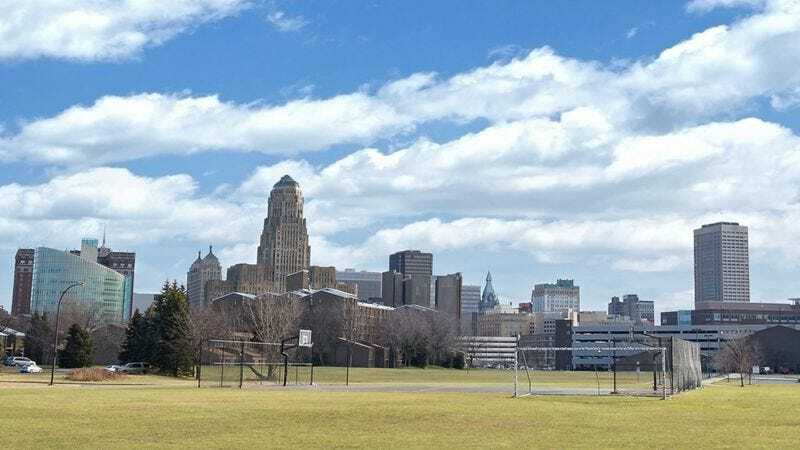 Buffalo offers all the perks of city living on a budget, and with graduation rates hovering around 53 precent, your kid can drop out of high school and still fit right in while your family enjoys low real estate taxes and a couple of parks. Their symphony recently got a pretty bad review, but honestly, that should only factor into your decision if you’re certain you have a kid worth bringing to the symphony. You’re gonna have to do a gut check on this one. Maybe if your kid really has their act together, it’s worth shelling out for St. Louis, but otherwise, don’t overthink it. Wichita is plenty.